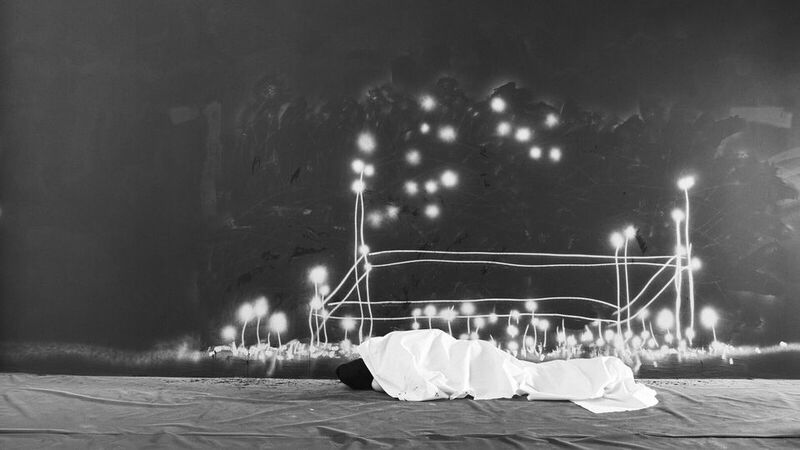 With the aim of forging cross-cultural connections, the Mexican city of Oaxaca de Juárez is presenting works exploring the theme of death by more than 30 artists from southern Africa. From 4-10 November, five exhibitions opened at four venues in the region in a programme titled Hacer Noche (Crossing Night). Works by Nicholas Hlobo, Kendell Geers, Jackson Hlungwani, Tracey Rose, Zanele Muholi, David Goldblatt and Athi-Patra Ruga are on view in group shows in the former convent of Santo Domingo and the Cultural Centre of San Pablo, while the photographers Jo Ractliffe and Pieter Hugo are exhibiting in the Centro Fotográfico Álvarez Bravo. An initiative of Idris Naim, a non-profit organisation dedicated to promoting art, the programme includes residencies, talks and workshops linking artistic practices in Mexico and southern Africa. Francisco Berzunza, coordinator of the exhibitions, which run until February 2019, points to William Kentridge’s video installation More Sweetly Play the Dance, on view at Centro de las Artes de San Agustín, a textile factory turned art centre in the mountainside town of San Augustín Etla, 30 minutes outside of Oaxaca. “It’s made for this context,” says Berzunza, who sees similarities between the danse macabre in Kentridge’s work and San Augustín Etla’s renowned processions for Day of the Dead celebrations. Community ritual is expressed in Simphiwe Ndzube’s The Rain Prayers, while Pieter Hugo’s staged photograph of local garbage collectors carrying a corpse invokes protest and violence, finding inspiration in Del Porfirismo a la Revolución (1957-66), a well-known protest mural against dictatorship by the Mexican artist David Alfaro Siqueiros. Yet Berzunza says, “Death can also be playful and cheerful.” This rings true in Georgina Gratrix’s joyous flower paintings, which include the addition of marigolds, Mexico’s ubiquitous flower for the Day of the Dead. In a two-week Oaxaca residency, Penny Siopis experimented with the red dye extracted from the region’s cochineal insect. The artist has spent much of her career exploring death, predominantly depicted through red paint. “This allowed me to pursue red in a way that is specific to this [Mexican] culture while developing my own biography as an artist,” she says. Berzunza says that Hacer Noche illustrates that it is possible to create site- and culture-specific exhibitions that offer an alternative to “colonial” ideas of how art should be displayed and talked about. The programme’s visual language, with symbolic animal forms and a handwritten font, also departs from traditional European concepts of art presentation. He hopes it will be the first of many more innovative projects. “We need to find new ways of making exhibitions,” he says.